Johannesburg - From home games played away from home to lacklustre performances, there has been much upheaval in the ABSA Premiership. Cape Town City have been forced to “relocate” to the Princess Magogo Stadium in KwaMashu for their game against Maritzburg United on Tuesday because their home ground, Cape Town Stadium, is unavailable. The stadium is being used for the upcoming Rugby Sevens World Series event and the pitch at Athlone Stadium has been deemed unfit for an Absa Premiership fixture. So Benni McCarthy is taking his team to KwaZulu-Natal for a home fixture against a KwaZulu-Natal side. Apart from this sideshow, the real talking point is what is happening on the field. After 12 draws in 14 matches last weekend, fans are waiting to see how their clubs respond to the criticism about their teams’ below-par performances. As things stand, any side – from bottom-of-the-log Bidvest Wits to number one Baroka FC – can still win the title by the end of the season. Only 10 points separate these two teams. Clubs near the top have failed to take advantage of the so-called title favourites’ slip-ups, which will give them the belief they can still make it following their poor start to the season. Bizarrely, even after failing to win any of their previous five league games, Baroka, who dropped 11 points in the process, still maintain their position at the top of the league. Orlando Pirates’ first victory in seven matches took them to second on the table. Before earning three points from Bloemfontein Celtic, the Buccaneers had dropped 14 points and earned just four out of a possible 18. Nevertheless, they are still second on the table. This sums up the Absa Premiership season so far. 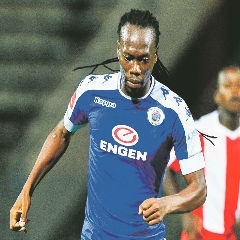 SuperSport United will take a giant step towards claiming the Q-Innovation award (finishing the quarter with the most points), when they visit Pirates at Orlando Stadium on Tuesday. After beating an out of sorts Ajax Cape Town on Wednesday, United, who are still playing catch-up matches following their involvement in the CAF Confederation Cup, need just four points from two games to win the R1.5 million Q-Innovation jackpot. United, who lost the CAF final to TP Mazembe last weekend, bounced back immediately by beating Ajax 1-0. But they will meet a highly motivated Pirates fresh from a long-awaited win. The Bucs’ faithful are hoping that their slender victory over Celtic will lead them to a winning streak. Log leaders Baroka take a trip to Mamelodi Sundowns and will look to consolidate their place at the top. The Brazilians have been blowing hot and cold lately and Baroka will fancy their chances at Lucas Moripe Stadium in Atteridgeville. On Wednesday, Chippa United welcome Kaizer Chiefs in a grudge game following their encounter in the Telkom Knockout last month. Chippa, who are on a nine-game unbeaten run, will be out to avenge the cup competition defeat, which saw coach Teboho Moloi blast match officials after the game. Moloi later apologised for his unsavoury remarks. Chiefs are also not in a good position as they have gone four games without a win.